Be the first to know more with Sports Illustrated. Get expert analysis, unrivaled access and the award-winning storytelling only SI can provide — from Peter King, Tom Verducci, Lee Jenkins, Seth Davis and more — delivered straight to you, along with up-to-the-minute news and live scores. Want to be among the first to read King’s groundbreaking weekly Monday Morning Quarterback column? Go to the front of the line. Personalize the SI App experience to get instant alerts not just about your favorite teams, but when stories from your favorite SI writers are published. 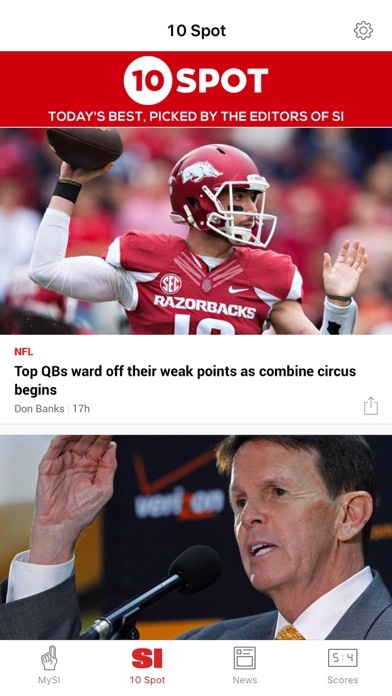 What else will you get with the new Sports Illustrated App? — A clean, easy-to-read, simple presentation that helps you get everything you need to be in the know. — Locate the stories most important to you quickly in the MySI feed. Just select your favorite teams and writers to get a personalized SI experience. 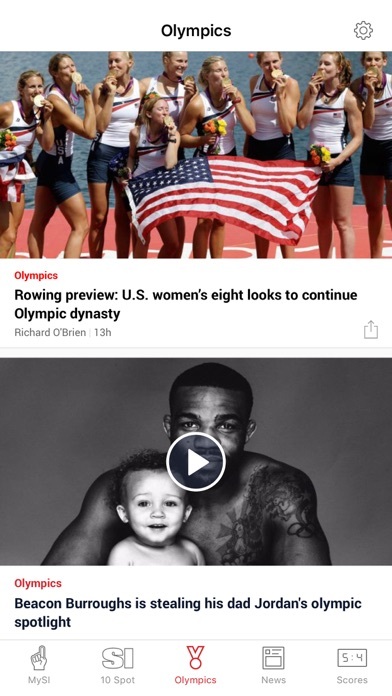 — Stay current and informed with the Sports Illustrated 10 Spot — a unique blend of personality and analysis on what’s important in sports right now, plus iconic photography and videos curated by SI editors with a distinct SI flavor. 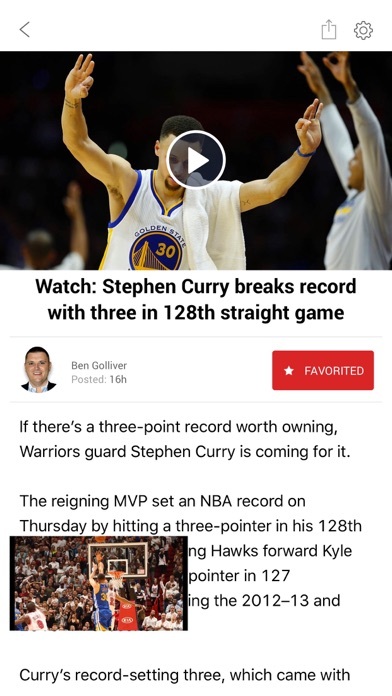 — News streams of all the major sports — NFL, NBA, MLB, NHL and college football and basketball -- featuring the most recent headlines. 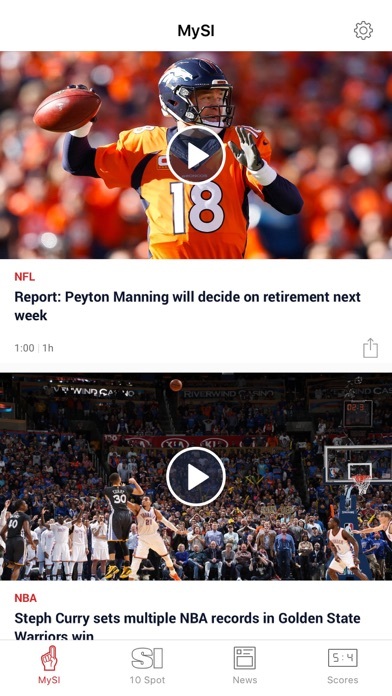 — Robust notifications covering the major sports at release. Notifications include breaking news and editorial alerts from SI’s team of editors. Receive lightning-fast scoring alerts as they happen. — The best viral sports content from the Extra Mustard team, featuring Hot Clicks, the Mustard Minute and more fun-to-share content in snackable bites. 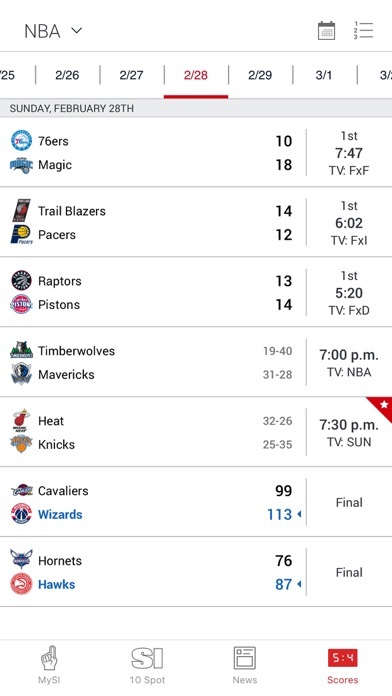 — Want to follow the scores while still browsing the latest headlines? Pinning a game allows you to do both simultaneously and seamlessly. — Watch video and continue to browse the SI App with SI’s pinned video presentation. And we’re just getting started. The app will be continuously updated, featuring the addition of more sports, expanded content and additional functionality. Sports Illustrated. Sports Personalized. I fight with this app too much. I cannot change screens where links are broken or just will not come up. Every single alert to any story does not work. Every single alert. Worthless app. Just terrible. A waste of time. This app’s documented failure to update frustrated me so much I’ve actually deleted it. Don’t know what happened during the past year, but the info now is stale and much of the “news” it puts out is irrelevant to me or outdated. That was not the case previously. Not a fan. Doesn’t update with most current info. “Favorites” is very limited in terms of sports, no tennis. This app becomes increasingly disappointing. You cannot search for stories and are entirely dependent on the including the story. The news feed is filled with so much minutia it is basically useless. I love soccer, but way to much minor news and nonnews stories. Plus much of it is in Spanish. It’s cool to have multilingual options, but the user should be able to control that. You can select favorite writers, but the app is increasingly inconsistent about including them in your feed. And when it does, it is usually days after the article was originally posted. For example today is Monday, Albert Breer’s pre week 3 notes column just came up. Too late to be of interest. But his Monday morning summary column is nowhere to be found. Tiger Woods just won his first tournament in five years and there is no story in the 10 spot collection of significant sports stories? The site always had limitations, but now it feels so bad that they must intentionally want it to be a poor app. This used to be my favorite app for sports but it doesn’t update regularly anymore. It sends a message that new content is available and I click to read it and it can’t be found in the app. Maybe six or seven hours later it will be there. If I open Sports Illustrated in News all of the content is there. It used to be that I could get up in the morning and read all the content from their best writers. Now it is all the old content from the afternoon before. Why do I get alerts about new content if I open the app and when I do it is not there until several hours later, if at all? Come on, S. I. , you can do better than that! I even tried deleting and reinstalling and still the same. Worked great until about two weeks ago and stopped regularly posting new content, again even when it alerts me it is there. Totally ridiculous! Keeping the app in hopes that it gets better. The article are great. The wide range of coverage along with its coherent stories. Not click bait like ESPN or bleacher report. Unfortunately the app needs a lot of work. Videos don’t play! !